Bollywood has many talented singers who make us dance to their melodious voice instantly. Our singers are so versatile that their singing genre ranges from love songs to hip hop numbers for every ear to enjoy. Adnan Sami is one such versatile singer our industry has. His unmatched voice and inimitable singing style sets him apart from rest of the singers. 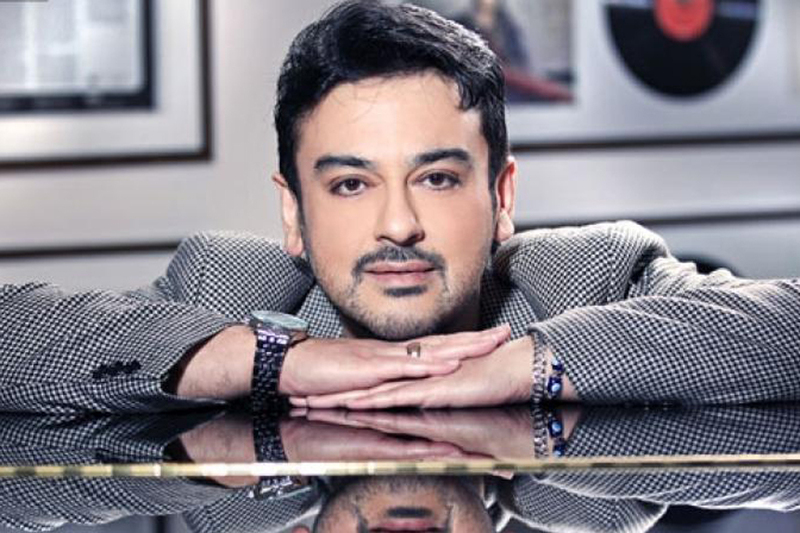 Adnan Sami is not only a gifted singer but a fantastic musician and a pianist. Songs of Adnan Sami are superhit sensations of the music industry in India and Pakistan. Adnan’s voice became an instant sensation and hit in India right from the release of his first album Kabhi Toh Nazar Milao in 2000. There has been no looking back for Sami since then. The singer has made his mark both in Bollywood and otherwise. The Lift Kara De singer has managed to rope in many super stars like Mr. Bachchan, Diya Mirza, Govinda, Rani Mukherjee, etc. Adnan Sami albums went on to become classic hits of all time. Lift Karade is a beautiful song sung and composed by none other than Adnan Sami. The lyrics of the song were written by Riaz-Ur-Rehman Saghar and music was labelled by the Sony Music Entertainment India Pvt. Ltd. This song had doled everyone with its rocking charm and melody. The romantic thriller Aitraz starred Kareena Kapoor and Akshay Kumar was a classic movie of its time. The movie had many lovely songs and Geela Geela sung by Adnan is till date everyone’s favorite foot tapping number. Listen to this amazing song here. Adnan Sami songs Tera Chehra have many hit songs that touch your heart. Kabhi Nahi is one of those classics starring Big B – Amitabh Bachchan. Enjoy the music video on YouTube. Bheegi Bheegi Raaton Mein is a superhit romantic song that touches your heart. There is also a remix version of this song. Here the soulful voice of Sami in the video below and rejoice your romantic moments. This is another melodious track sung by Adnan that makes you dance to its beats instantly. The music is given by Anu Malik and lyrics are written by Sameer. Relive the dance number once again with us. The song Teri Yaad Aati Hai remains an evergreen favorite of Adnan’s fans. Labeled by T-series this song is popular for its melody and soulful track by Sami. This song is crooned with the cute and gorgeous Bollywood actress Diya Mirza. We are sure you’ll become a fan of Adnan Sami after watching this track below. The rock star and super cool playback singer has won hearts of many fans. His voice has been popularly crooned for actors like Akshay Kumar, Shahrukh Khan, Ranveer Singh and Ajay Devgan. In his three decade career Sami has delivered many amazing heart-warming melodies.